72% of those who answered the survey said that they relied on Wivenhoe shops for at least part of their household shopping. 482 or 43% of comments were calls for a wider variety of shops and services in Wivenhoe other than food shops, and 11.8% would like a greater choice of groceries. Many made suggestions and requests for specific shops and retailers including additional pharmacy and banking/cash machine facilities down in lower Wivenhoe *. were complaints about high costs locally. Lack of competition was mentioned more than once. A number of people mentioned that they would prefer to support local shops but said they could not afford to. Comments about quality were also frequent and mostly negative, with words such as ‘fresh’ and ‘decent’ occurring 123 times or in 21% of the comments in this section. 459 households (52% of those who answered the question) said they felt that Wivenhoe needs more community buildings. 227 people (26% of those who replied) felt it didn’t need more community buildings. Some of these (31) explained this by saying that better use could be made of the existing ones, which could also be improved. A need for the Phillip Road Centre to remain open was specifically mentioned in 15 of these comments, implying that the existence of this centre might be seen as ‘current’ rather than ‘future’ provision. 494 (61%) of those who answered would be willing to pay more council tax to help provide or run these facilities, with 205 (25%) of them prepared to contribute over £10 per annum. 78 households, or 9% of those who answered this question, had experienced difficulties in booking a venue in Wivenhoe, with a wide variety of causes; there appeared to be no specific single reason for the problem. 30% of those who replied had had no problems doing so, 531 (61%) of those who answered the question had never tried. The resources for family life in Wivenhoe are basically seen as good, especially KGV and provision for under 11s. The greatest call was for more after-school and holiday clubs, followed by more playgrounds for younger children. Of the households with children who answered this question, 20% called for more day nurseries, 10% would like more pre-schools, 35% would like more after-school and holiday clubs, 27% would like more playground provision. However, there was seen to be need for more provision for the over-11 age group. 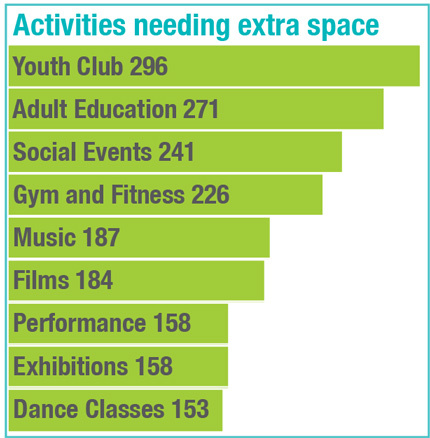 Of the comments made the majority (221 out of 236) mentioned need for a youth clubs/cafe/groups. Only 13 felt there were sufficient facilities currently. 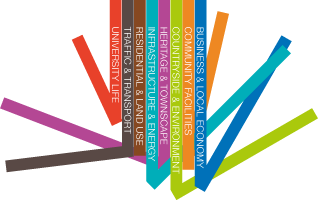 403 (41%) of households said they have to travel to Colchester or elsewhere for leisure and sports activities that could possibly be provided in Wivenhoe. The main areas highlighted were swimming and gymnastics. 52% said members of their households went swimming regularly or occasionally. 62% said they would use a pool at the University if one were built. 569 respondents (58%) said that Wivenhoe needs a new cemetery. Just 109 (11%) said it doesn’t and 294 (33%) had no opinion or didn’t reply. There were 89 comments about why people wanted their remains to be in Wivenhoe. These centred around having lived in Wivenhoe all their lives; being long term residents; being able to visit family graves and to be buried with family. Of the 67 who discussed a site for a new cemetery several (18) said they did not know where it could go, the two most popular suggestions for location were behind the Fire Station (11 suggested this), and behind the Cricket Club (suggested by 9). As a “popular alternative” to a traditional cemetery a green/ woodland burial site was favoured by 35 respondents and there were 18 people who suggested that cremation should be encouraged as a choice.